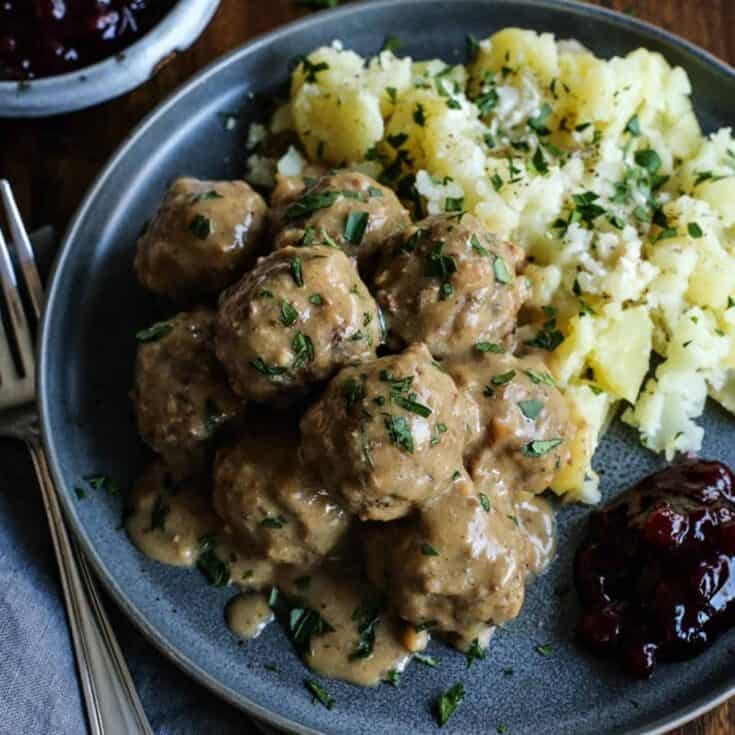 Swedish Meatball Recipe – Swedish meatballs are perfectly tender, with an easy-to-make homemade gravy that’s creamy and richly flavored. 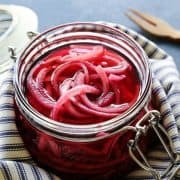 Serve over potatoes or noodles, with a spoonful of traditional tart lingonberry preserves on the side! I grew up on my mom’s meatballs and gravy, always one of my favorite meals. She makes her meatballs with all-beef and serves the meatballs and gravy over creamy mashed potatoes. One of the best comfort meals EVER. 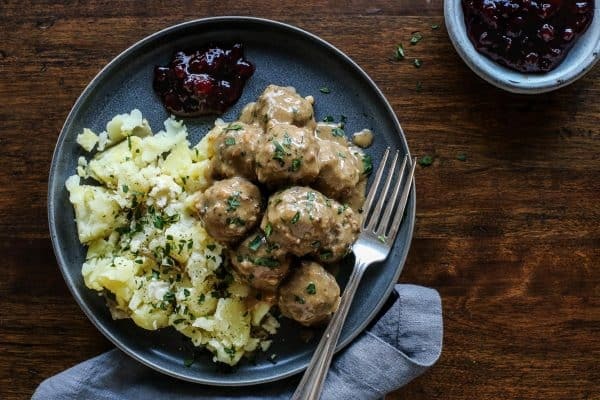 This Swedish meatball recipe is similar to Mom’s recipe (no Swedish roots there), yet still quite different. 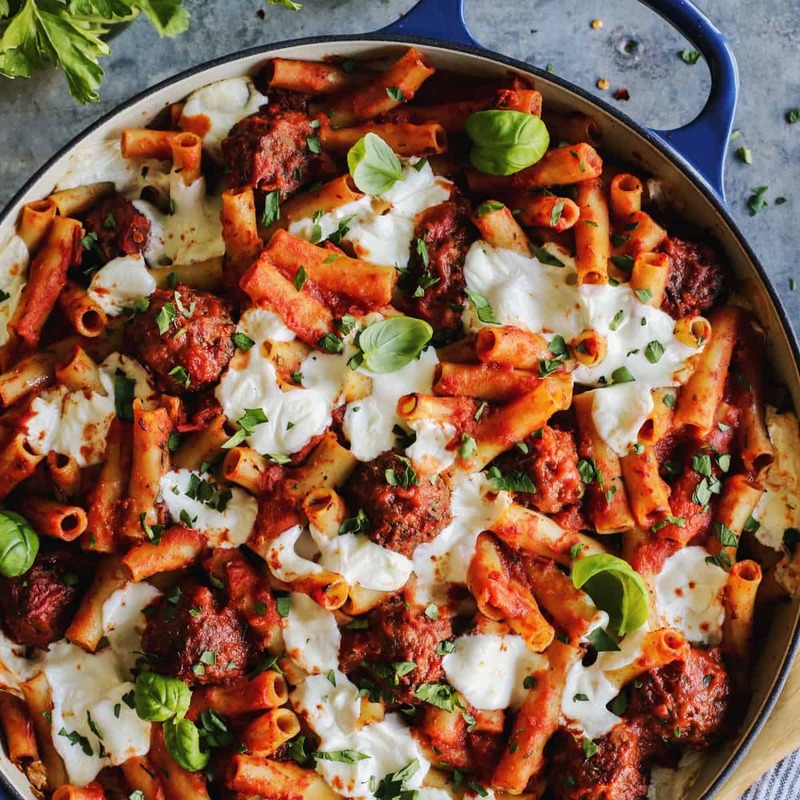 There could never be too much meatball recipe goodness, in my opinion! 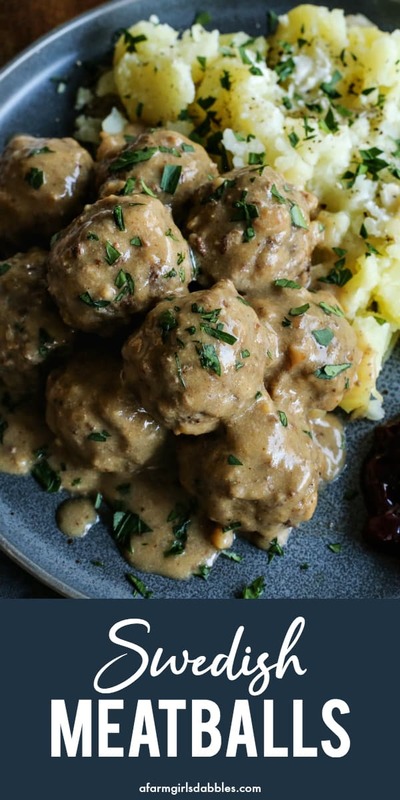 Do you remember the first time you ate Swedish meatballs? My first IKEA experience was back in the spring of 1999, when I was living near my sister and her husband in Illinois. I was newly engaged to my extra-tall (he’s 6′-7″), dark, and handsome Blake, and we were planning our wedding for later that same fall. The ceremony was set to take place outdoors, on my parents’ farm in South Dakota. A small intimate immediate-family-only wedding, with more family and friends invited to celebrate after the ceremony. It was to be casual to the core, with picnic tables, a pig roasted by a family friend, a beer wagon, and dancing to a dj’s (my cousin) tunes in the garage. Blake and I moved to Minnesota shortly after we were married, and lucky for us, an IKEA opened up here just a few years later. While we continue to enjoy both the shopping and the meatballs at our local store, it’s been awesome to have our own recipe to make at home whenever the craving hits us. 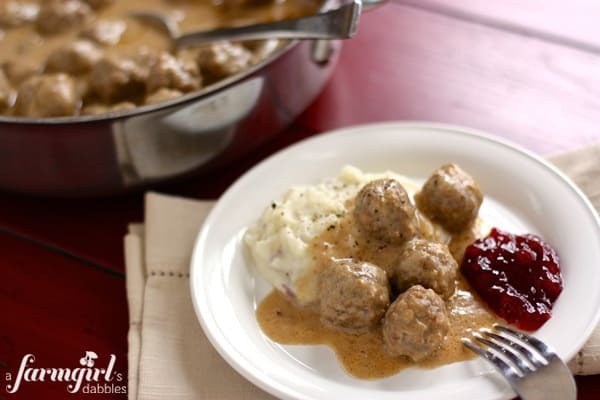 Swedish meatballs are typically made with a combination of beef and pork, which gives them great flavor and texture. They also include just a touch of allspice and/or nutmeg. 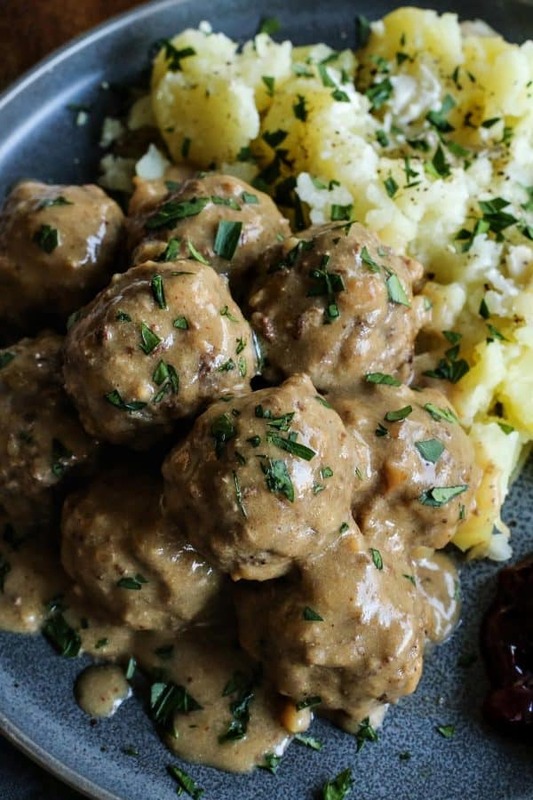 IKEA’s meatballs are tender and light in texture. 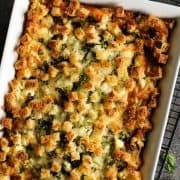 My recipe includes breadcrumbs soaked in milk to achieve that same bite. I like to use a 1-1/2 tablespoon scoop to portion the meat mixture (a bit bigger in size than IKEA), and then roll by hand to form the meatballs. Then the meatballs are browned in a skillet on the stovetop. I love the texture and added flavor that browning adds. Plenty of people will use cans of cream of mushroom soup for the gravy, but I’m sharing my easy method for homemade gravy here. You won’t believe how quickly the rich and creamy gravy comes together. And I hope you’ll agree that it’s a super fun process! Our oldest daughter likes seeing the homemade gravy evolve, and often requests to create it all on her own. Yes, it’s that easy! The meatballs are perfectly tender and flavorful. And the rich and creamy gravy, poured over buttery boiled potatoes or whippy mashed potatoes, is whisked up from scratch. It’s oh-so-worthy of licking your plate for. And the piece that makes our IKEA Swedish meatballs replication complete? 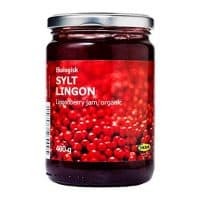 A spoonful of traditional lingonberry jam on the side, just like IKEA does. I’m in love with its tart contrast, much like a meal of Thanksgiving turkey and gravy with a side of cranberry sauce. 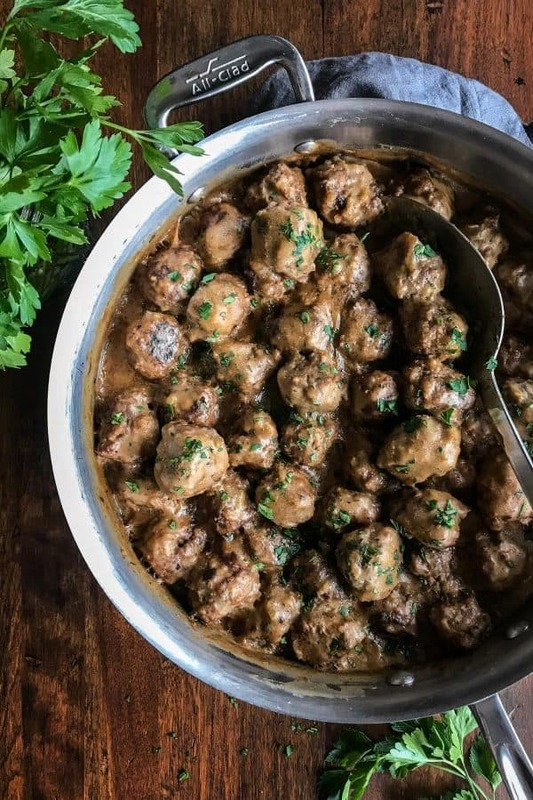 Like this Swedish Meatball recipe? Pin it! 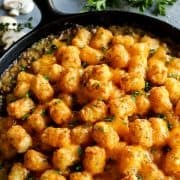 Here are a few more recipes with creamy comfort: My Tater Tot Hotdish features a homemade gravy, similar to this one for Swedish meatballs – so many people love this recipe! Also try my mom’s Oyster Stew and this Creamy Enchilada Chili. And here are a few more meatball recipes I’d like to try! 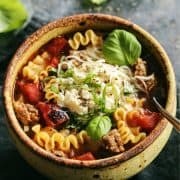 Asian Turkey Meatballs from SkinnyTaste, BBQ Meatballs from Buns in my Oven, and Meatball Soup from Add a Pinch. 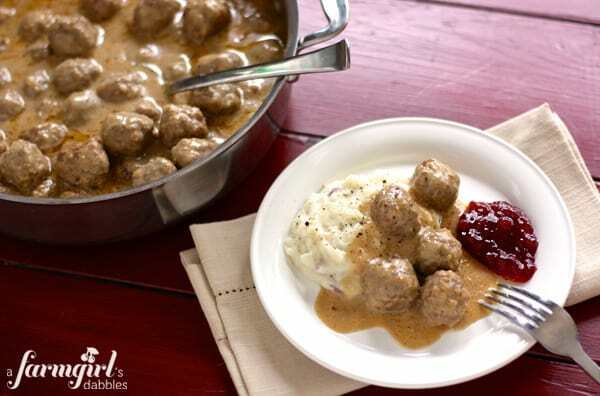 Perfectly tender meatballs are coated in a creamy, richly flavored gravy. Serve with buttered boiled potatoes or fluffy mashed potatoes, plus a spoonful of tart lingonberry preserves. In a large skillet with tall sides, over medium to medium-low heat, melt 1 tablespoon of the butter. Add onion and sauté until completely soft and translucent, stirring regularly, about 8 to 10 minutes. Transfer onion to a plate and spread out the onion to cool completely. To a large bowl add beef, pork, eggs, 1 tablespoon of the soy sauce, black pepper, sugar, allspice, nutmeg, and the cooled onions. Mix to combine evenly with a wooden spoon or your hands. 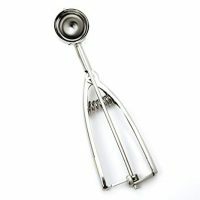 You could also use a stand mixer. Add breadcrumbs to a medium bowl. Pour milk over the top. Stir to completely combine. Then add to the meat mixture and use your hands to combine everything evenly. 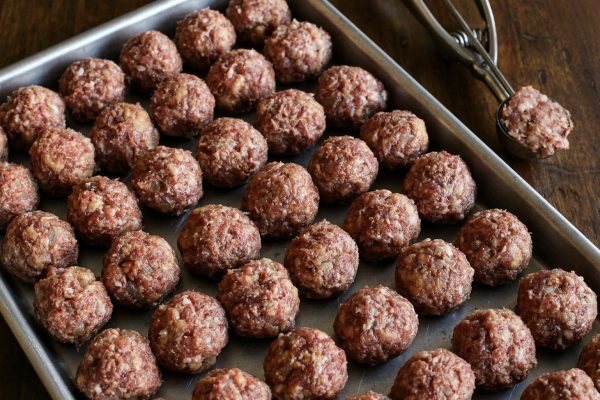 Using a 1-1/2 tablespoon measure (I like to use a 1-1/2 tablespoon scoop), roll meat mixture into balls and then transfer to a rimmed baking sheet. Using the same large skillet (no need to wash it, just wipe it out with a paper towel), place it over medium to medium-low heat. Add 1 tablespoon of the butter. Working in 2 batches and adding the remaining tablespoon of the butter between batches, brown meatballs on all sides, about 8-10 minutes per batch. Transfer meatballs to a platter or sheet pan. Drain all but 2 tablespoons of drippings from skillet. If there are any especially dark (black) pieces left in the skillet, remove them. Otherwise, keep as much of that good flavoring as possible in the skillet. If you are left with less than 2 tablespoons of drippings, add some butter to equal that amount. 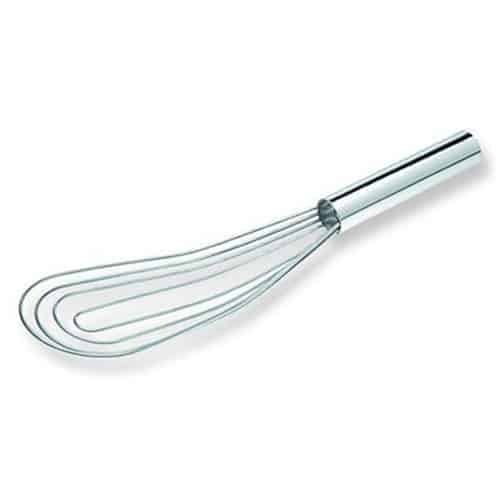 Whisk in flour (a flat whisk works great!) until a smooth paste forms, and the paste is lightly browned. Slowly add chicken broth, whisking all the while to break up any lumps. Turn the heat up just a bit, to medium to medium-high. Bring broth to a simmer, whisking often. Add sour cream, Worcestershire, and remaining 2 tablespoons of soy sauce, and whisk to incorporate. Let simmer until sauce is nicely thickened into a gravy. Add meatballs to gravy, folding gently to coat. Turn heat down to medium to medium-low, cover skillet, and simmer until meatballs are cooked and everything is nice and hot, about 10 minutes or so. Remove from heat and stir gently to coat meatballs. Serve meatballs with buttered boiled potatoes or fluffy mashed potatoes, and a sprinkling of fresh chopped parsley. We also recommend some traditional lingonberry jam on the side! Note: If using beef broth, only add half the amount of Worcestershire sauce and soy sauce to the gravy. Then taste test and add more of each if needed. This post was previously published in 2013. Some of the photographs and some of the text were updated in 2019. Thank you Brenda for the lovely recipe and have a great weekend. Thanks for the recipe! I’ll have to try it sometime. Just as an aside, you can buy in the grocery section of IKEA all of the ingredients for the Swedish meatball meal to take home. 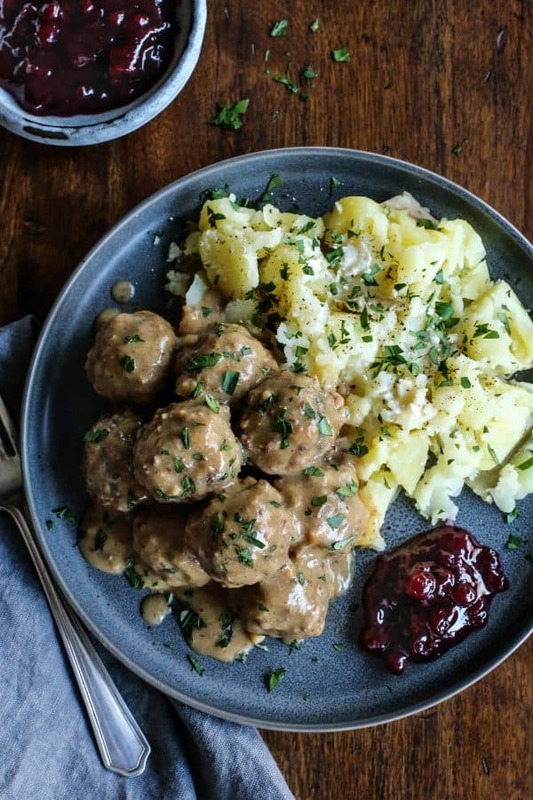 They have frozen meatballs, the jars of Lingonberry jam, and I think the mashed potatoes too! It’s usually located in the cafe/snack area (not to be confused with the cafeteria area) near the most Ikea exits. So glad to have found you! Did a search for slow cooker chili – your recipe came up – can’t wait to try. But while visiting your site – found this one – can you bake the meatballs? But, if so, I wonder you can do to get the sauce right? Thanks again! I haven’t tried baking the meatballs, but you surely could. To start the gravy I would substitute 2 tablespoons of butter for the drippings, and then continue on with the recipe. Please let me know if you give this a try! Made these on New Years and they were ‘lick-the-plate’ good! Will be making them again. That’s awesome to hear, Vic. Thank you so much for coming back to let me know! I love Swedish meatballs, and everytime I go to IKEA, I must get them! 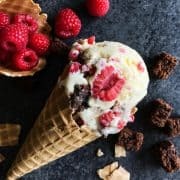 Thank you for posting this yummy-looking recipe! I made these on Saturday for dinner and they were soo good we had the leftovers on Sunday. I didn’t add the sour cream and we didn’t miss it. The worcestershire and soy sauce added great flavor. Thanks for the great recipe! Thank you for coming back to let me know. I’m so glad you liked these meatballs! 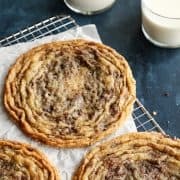 Made these tonight and they were delicious! It was a perfect meal on a cold, crisp day. These sound great! I understand the beef stock and the butter being ‘divided’, but why is the soy sauce ‘divided’? Blake is extra tall. It’s always fun to see people taller than Ole, and Blake makes Ole look like a midget at 6’5″. Of course, it doesn’t help that he’s so thin either, and Blake is decidedly not. I love the picture you drew of your wedding. I have to say your meatballs looks ten times better than the Ikea version. I love Swedish Meatballs! My mom used to make them when we were growing up. Thanks for taking me on a walk down memory lane and for sharing yet another yummy recipe. 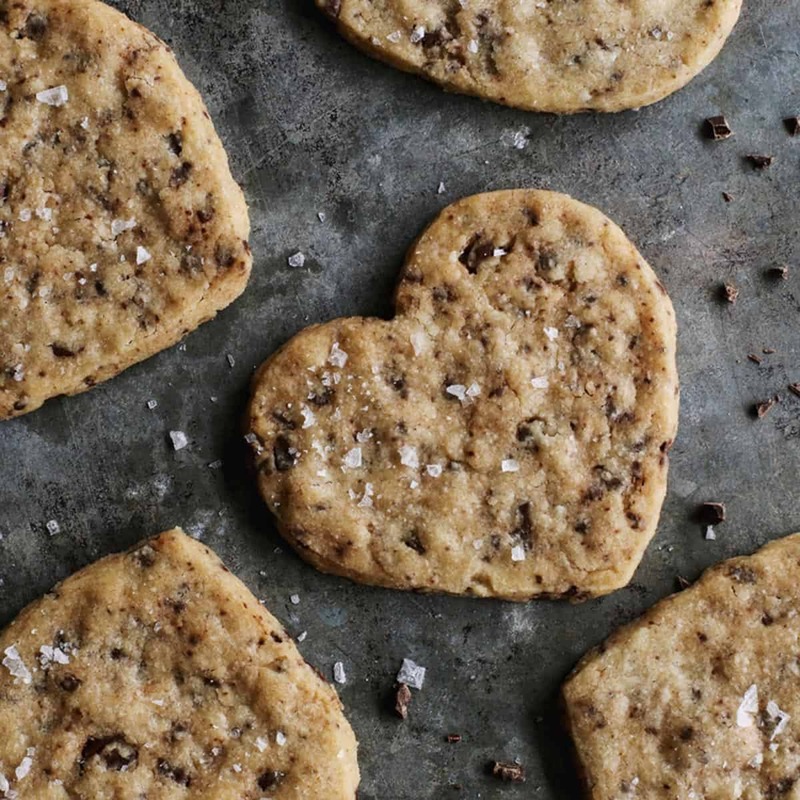 I’m totally making these for my mom! I vividly remember her taking us to IKEA just to eat Swedish meatballs – she’s going to love this! I totally love IKEA! (and their meatballs) My grandmother is from Sweden, and used to make us delicious homemade meatballs. Now that she is getting older, we eat them far less frequently. *sniff sniff* She does her from memory and by feel, so it’s nice to have some kind of recipe to start from! Thanks for this! Thank you for reminding me of those meatballs at IKEA! I used to take my girls, when they were little (now they’re bigger than I am), to play in the ball pit and then for lunch. Your meatballs look just as tasty. I’ll let you know when I try them. I’ve had the meatballs at IKEA a few times. They’re good, but if you want meatball perfection, try the ones at FIKA at the American Swedish Institute. Juniper-spiced with potato puree and lingonberries–absolute perfection! I have to get the meatballs every time we go to IKEA too! Yum! :) It was great to see you & Mitch on Christmas!! And it’s so nice to see you here – thank you! Looks deelish but you don’t mention when to incorporate the Worcestershire sauce?? Hi Lisa! Add it along with the sour cream. Thanks, hope you like it! 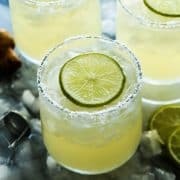 I’ll have to try these! I’ve only made these once but didn’t care for them. Your recipe looks much better! I’m pretty sure I haven’t met a meatball I didn’t like. So, can I tell you…. I’ve NEVER been to IKEA. And can I also say, it brought a smile to my face that they have delish meatballs. This looks and sounds SO good on this COLD winter’s night. Mmm, we always have to stop and grab a bite to eat when we’re at IKEA! Love these! Thank you so much for this recipe! I love Ikea’s meatballs but most recipes I’ve found are too complicated. I will definitely be trying this one. I am blessed to have an Ikea nearby but don’t have time to go there too often. Amazing meatballs, the whole family would love this. 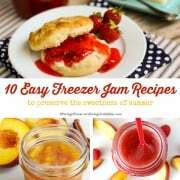 As soon as I saw the jam on that plate my mouth began watering (for real)! I’ve never had jam with swedish meatballs but the combination sounds a – ma – zing. Great recipe, Brenda! When I lived around an IKEA I never tried their meatballs! It wasn’t until we were in Dallas visiting family last year that I had some, and now I crave them all the time! I with the other people who have been to Ikea, but never new they had food there! Your recipe looks wonderful! I have not made Swedish Meatballs in year and years. Not because I don’t like them, just because I never think to make them and I am always on a low-fat, low cholesterol diet by doctor’s order. So they just don’t make it into the weekly cooking meals ever. I may have to splurge though and try these! Oh, and I made your homemade granola recipe for some of my family members for Christmas and they LOVED it! I had a little bag for myself and I LOVED it too! Thanks for sharing that recipe! It is a keeper for sure. I’ve only had the fabulous breakfast at Ikea. Your meatballs look delicious and now I don’t have to make the two-hour round trip into the city to try Ikea’s! 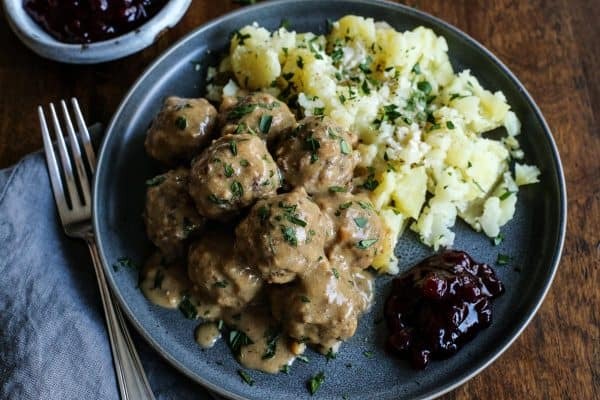 We love Swedish Meatballs! Yours look amazing….drool. We do not, sadly, have an IKEA nearby. But when we are on road trips we often seek out IKEA for lunch or dinner. It’s so cheap and so yummy!!! Wait, Ikea has food too? I’m totally missing out! These look amazing, Brenda! The hubs and I are TOTALLY guilty of going to IKEA just for the meatballs… though we always manage to walk out of there with something else, too. Last time it was a couch and a throw. :) These looks scrumptious!! I long to go to IKEA one of these days! Of course my wallet and my husband prefer that I don’t! Until then I will enjoy your meatballs, they are a family favorite!